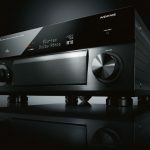 If you previously purchased one Yamaha‘s Aventage receivers, you may be eligible for a free MusicCast upgrade. All six options are part of the Aventage RX-A 50 Series and are available today. 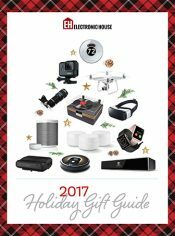 The least expensive of the lot is the RX-A550 ($549.95), a 5.1-channel receiver with 4K Ultra HD video pass-through, HDCP 2.2 support, built-in WiFi and Bluetooth. The RX-A750 ($699.95) is a 7.2-channel model that adds in high dynamic range (HDR) support. 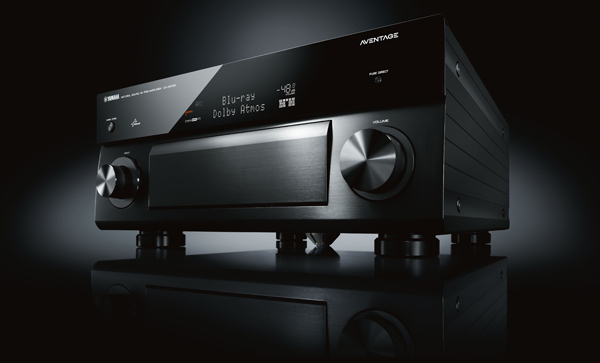 The Aventage RX-A850 ($999.95) is a 7.2-channel AVR with Dolby Atmos and two HDMI outputs, while the RX-A1050 ($1,299.95) adds in DTS:X support and ESS Sabre DACs. For larger systems, the RX-A2050 ($1,699.95) packs all of the above into a 9.2-channel receiver, with playback for up to four zones. And finally, the Aventage RX-A3050 ($2,199.95, pictured) promises all of the above, with two ESS Sabre DACs, an advanced version of the YPAO calibration system, and more. Several current non-Aventage receivers can also get a MusicCast upgrade today. The RX-V479 ($449.95) 5.1-channel receiver is out now, with 4K Ultra HD and HDCP 2.2 support, Bluetooth, and WiFi. The RX-V579 ($549.95) is a 7.2 AVR with the ability to accommodate a second zone and different speaker configurations, via Virtual Surround Back Speakers. The RX-V679 ($649.95) is a 7.2-channel AVR with all of the above, as well as HDR support. The last of the current MusicCast receiver models is the RX-V779 ($849.95), a 7.2 AVR with multi-point calibration and a second HDMI output. If you‘re seeking something new and can wait a few weeks, Yamaha plans to launch the slimline RX-S601 ($649.95, pictured) sometime in September. Designed for space-conscious listeners, this 5.1-channel model will have MusicCast out of the box, 4K pass-through, HDCP 2.2 support, and Zone 2 audio with a Party Zone option. Receivers aren‘t the only components to get the MusicCast perk. The YHT-5920 ($699.95) is an entire 5.1 home-theater-in-a-box (HTiB) package, with a receiver, five speakers, and a 100-watt powered subwoofer. The setup also has 4K Ultra HD and HDCP 2.2 support, Bluetooth and WiFi, as well as YPAO sound optimization, a front-panel USB input, and six HDMI inputs. The company also plans to launch the CX-A5100 preamp/processor ($2,999.95) into the Aventage lineup next month. 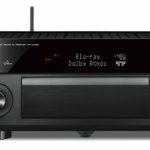 Designed as a companion for the MX-A5000 11-channel amp, this model has Dolby Atmos and DTS:X support, Yamaha‘s Cinema DSP HD3 processing, HDMI 2.0a, HDCP 2.2, and balanced subwoofer outputs. 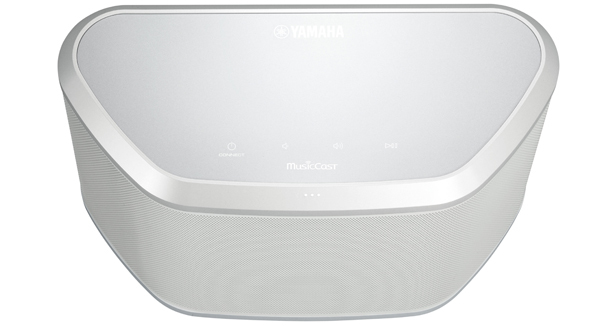 Sometime in October, Yamaha will launch the MusicCast Wireless Speaker. It will include a 2-way design with 3.5-inch woofer, a 1.12-inch tweeter, a passive radiator, and Yamaha‘s own digital sound processing. Designed for sitting on a counter, table or shelf, each speaker can also be wall-mounted. Available in black or white with a silver accent, the speakers will be sold individually for $249.95 each. This September, Yamaha will introduce a pair of speakers designed to give that TV sound a hearty boost. 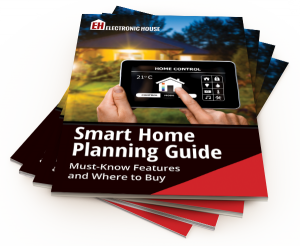 However, since each one also has MusicCast features, both can incorporate all sorts of wireless music or be part of a bigger, whole-house setup. Both the MusicCast Sound Bar (YSP-1600) and the MusicCast TV Speaker Base (SRT-1500) will include Yamaha‘s Digital Sound Projector technology, HDMI connectivity, 4K Ultra HD and HDCP 2.2 support. 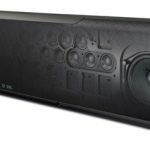 Priced at $499.95, the MusicCast Sound Bar has eight speaker drivers and two built-in subwoofers inside a cabinet that measures 2.5 inches tall. 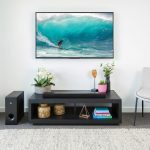 The MusicCast TV Speaker Base has 10 speakers drivers and two built-in subwoofers stuffed into a cabinet that‘s designed to slide under any TV from 32 to 55 inches. That model is priced at $599.95. Before the end of the year, Yamaha plans to release a second MusicCast Sound Bar, the YSP-5600 (pictured). This model will add in support for Dolby Atmos and DTS:X audio formats via Digital Sound Projector technology, all for $1,699.95. 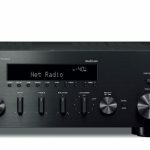 This October, look for MusicCast to pop up in the R-N602 Network Hi-Fi Receiver ($649.95). This component is compatible with all sorts of sound options, from streaming to smartphones, as well as high-res sources. 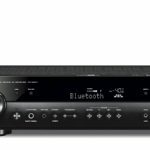 Other features include Bluetooth, WiFi and AirPlay, as well as a front-USB port, Pure Direct processing, and a phono input. The last of this year‘s MusicCast lineup will launch right before the end of the year. NX-N500 powered speakers are coming in December and will be sold in pairs for $799.95. If you’re seeking a Sonos alternative, there are certainly a lot of options out there. Of course, a lot of people wonder why you’d want something like that, when Sonos products are so plentiful. Now, Yamaha is delivering an answer. The company’s MusicCast lineup has capabilities and product options that go beyond what several manufacturers are offering. Yes, it’s a Sonos alternative, but it’s also an alternative to Apple AirPlay and Google Cast. 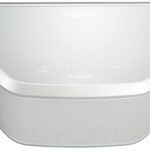 MusicCast connects to your home’s WiFi network to stream music wirelessly into any room—or at least, the rooms where you have MusicCast devices. The music, as well as the devices, are all controlled through Yamaha’s MusicCast app. 2. MusicCast does Bluetooth. All MusicCast products support Bluetooth playback, which means you can stream content from smartphones, tablets and computers to any MusicCast devices. However, each MusicCast-capable device can also output a Bluetooth stream, so you can stream content from MusicCast devices to wireless headphones or Bluetooth speakers. 3. MusicCast supports good audio. Audiophiles will be happy to know that this technology supports high-resolution audio files, including Apple Lossless (ALAC) up to 96kHz/24-bit and FLAC, AIFF and WAV files up to 192kHz/24-bit, as well as DSD streams up to 5.6MHz. Also, because it’s part of so many different types of products, the tech offers integration with Dolby Atmos and DTS:X object-based audio formats. 4. The MusicCast app is a necessity. The free app is available now for iOS and Android devices. 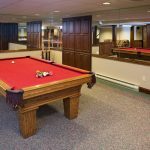 This is what allows you to browse through personal and web-based content, and send music to specific rooms or all rooms. It even has customization options for using personal images and colors, as well as renaming and reorganizing sources. 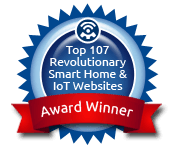 Looking for that special Sonos alternative? 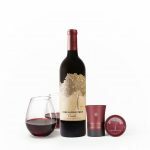 Take a peek at what products will be offered through the MusicCast lineup in our slideshow below. You can’t do that with BT, but you should seriously look at Sonos for a great multi-room (and perfectly in sync) solution. I have 10 speakers in 7 zones in my house and absolutely love it. 5 need to know things and you miss one of the biggest edges of Musicast. You can stream audio from any source at all, even turntables. I actually mention that above the list, Dustin. Then I said… “Here are five other things your need to know.” That is pretty awesome! 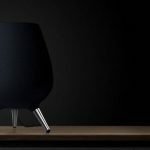 Yamaha certainly has a complete line-up of “MusicCast” audio components, however unlike Sonos’ system, it relies on your existing wi-fi network, and does not “create it’s own mesh network”. Also, the Sonos speakers have each driver crossed over and amplified individually, with bass radiators. Granted this is certainly another option in the myriad of choice that is developing, but not the same breed as Sonos.